Fajita Chicken Strips that are completely cleaned, trimmed, and fully cooked in a marinade of special fajita seasonings and herbs. They are great cold in your favorite salad or heated through in a stir-fry. Better yet, warm up those tortillas, peppers and onions. Then get out the salsa and your favorite toppings…….Ole´! 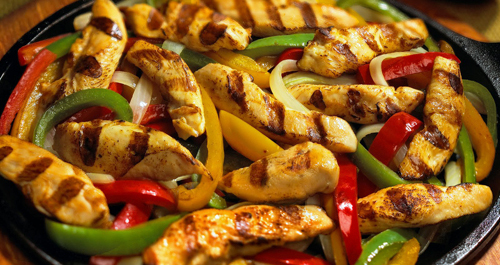 Add to your favorite chicken fajita recipe. Season and fry in a skillet, or simply use in a salad for a wonderful alternative.